Peter “Muraay Djeripi” Mulcahy is a Gamilaroi man. He is a husband, father, professional cultural teacher and fine artist for 25 years. Peter would like to share with you a lecture and a series of workshops, looking at the application and layered relevance of the forever Dreaming. What is it, its relationship to us, its power to bring about internal and external awareness and its transformative ability to alter how we feel, think and act? “GAMIL BIDI WII” The time before the Great Light. “The Dreaming”, the forever creation. Ever changing, ever the same and always relevant to a people humble enough to search for its relevance. Why renewal, why Steiner, why now. Cosmetic, Political or something so much more? Let’s establish what our drive for change is. Let’s acknowledge the difference between symptoms and problems, then look behind these to discover the underlying core illness and failings we are all experiencing. This brings us finally, to look at our very own, not overseas, right here, amongst those who delivered holistic learning to another level. Let’s look how it was done so successfully generation after generation, two and a half thousand times over. From birth to the grave, you absorbed, you breathed, you became the lesson and the knowledge. Yes, then even this knowing was added, and you passed it on again. Evolution of the Mind and Spirit, in its most pure and sustainable form. As Steiner philosophy acknowledges, learning is so much more than books, it is felt, it is smelt, it is sung, it is moved, it is painted, it is spoken and it is walked. I would love to share a little of my people’s ancient knowings, which were lived and breathed for over 100,000 years, resulting in a “Template for Humanity”. 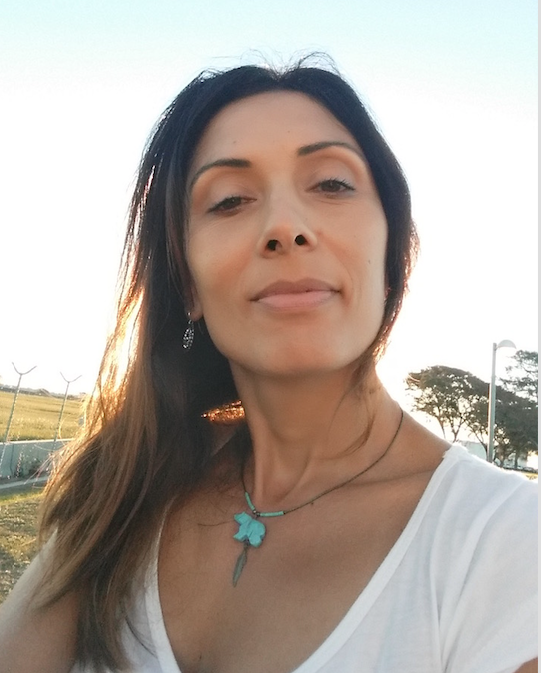 Waiata Telfer is a Narranga-Kaurna woman from the Adelaide Plains/Yorke Peninsula area of South East South Australia with Burmese, British, French, Indian ancestry. She is a bi-cultural person who walks within two worlds between satellites and sand, between Wi-Fi and spirit, both Indigenous and Western cultural knowledge systems. Waiata invites you to walk with her, to see the world from an Indigenous perspective, to be brave and face the change that is needed in this country to walk together. How do we listen? How do we learn? Are we truly using all of the senses in our capacity to teach, learn, understand and receive knowledge? What knowledge are we actually seeking? What do we seek to renew? How can we find stillness, build spiritual roots, respect and a deeper sense of belonging in a digital orientated weighted world? How can old knowledge persist? How is it relevant and/or significant? How do we build that relevance or significance within ourselves, our families and our communities? Drawing on her 20 years of experience as a Waldorf/Steiner teacher, a facilitator of restorative practice and as an author and academic, Shelley runs workshops nationally and internationally on creative writing, sustainable teaching, creativity, social justice in schools, and mitigating the effects of stress on teachers, students and parents. 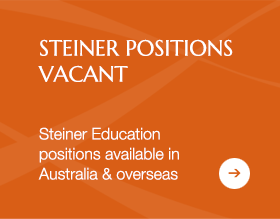 Do Steiner’s insights, which emerged 100 years ago with the opening of the first Waldorf school in Germany, have the potential to be a transformative force in contemporary education in Australia? If we can uncover what is essential in Steiner’s pedagogy, are we able to re-imagine our teaching and renew our practice and pedagogy in response to the challenges that we currently face in our educational context? In this land, ancient wisdom runs deep, but most education is delivered through a colonial lens subscribing to a neoliberal agenda. In this context, we have a unique opportunity: to take up the challenge of being dynamic, transformative – offering a future for Education that meets the needs of the generations to come. 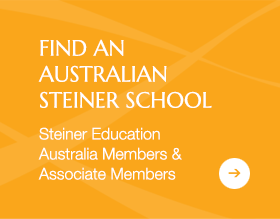 What is Steiner Education’s trajectory for the next 100 years? Reclaiming the idea of ‘performativity’ from neoliberalism and putting it back into the realm of the arts, we might consider that each stage of our ‘lived’ curriculum is a profoundly performative journey. 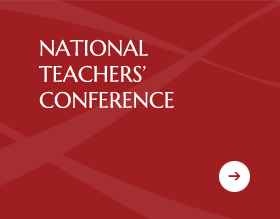 From Kindergarten to Year 12, this journey can be seen as something that becomes itself in its becoming– in the interweaving of selves and others, and in the role teachers play in enabling every child to have an authentic voice, to have responsibility, or the ability to be responsible. 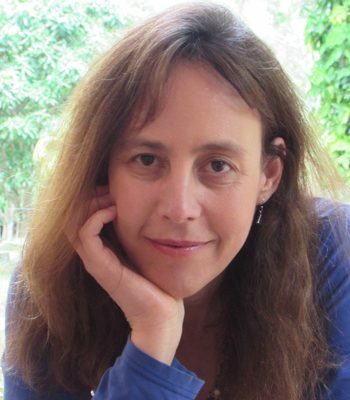 Looking at Steiner Education as an ‘infinite game’ this keynote will highlight the problems we face, the responsibilities we hold, and the capacities we might build in ourselves to face and inform the future in a profound and meaningful way. Valentin Wember, PhD, attended the Waldorf School in Krefeld, Germany. He studied philosophy, literature, music and the science of education in Hamburg, Berlin and Stuttgart. For 30 years, he worked as a Waldorf teacher in Stuttgart and Tübingen, and in teacher training in the USA, Switzerland, Korea and Germany. Valentine has published several books on youth anthroposophy, among which were “The Will to be Free” (1991) and “The Power of Understanding” (1993). Along with being a Waldorf teacher, Valentine has worked for many years in organization development, with the emphasis on forms of management and change management. Lecture 1: Why is it so important to understand the Physiology of Learning to truly implement the Steiner/Waldorf curriculum? Lecture 2: What are the social capacities needed for the 21st Century, and how do they unfold? Please click on the link below to view the short film “Learn to Change the World” showing people from around the world who work on the big pedagogical tasks of our time based on Waldorf/Steiner pedagogy.